The International Court of Justice on Tuesday refused to entertain Pakistan's request to adjourn the hearing in the case of Kulbhushan Jadhav to appoint a new ad-hoc judge. The four-day hearing in the Jadhav case opened Monday at the ICJ headquarters in The Hague amidst heightened tensions between India and Pakistan following one of the worst terror attacks in Jammu and Kashmir by Pakistan-based Jaish-e-Mohammad terror group that killed at least 40 CRPF soldiers. Pakistan, which is presenting its case today, asked the judge to adjourn the case, citing the illness of it ad-hoc judge. Tassaduq Hussain Jillani, the ad-hoc judge for Pakistan in the ICJ suffered a cardiac attack ahead of the hearing. Attorney General Anwar Mansoor Khan, who is representing Pakistan, at the start of the hearing said: "We applied our right provided to us that we can appoint an ad hoc judge. "But since our judge is indispensable at this point. In light of the above Pakistan would like to place before the court that another judge to be sworn in which right has been provided under article 35-5 and the judge be given ample amount of time to go through the briefings before going ahead with arguments," he said. But the the world court declined Pakistan's plea and asked it to continue argument in the absence on ad-hoc judge. 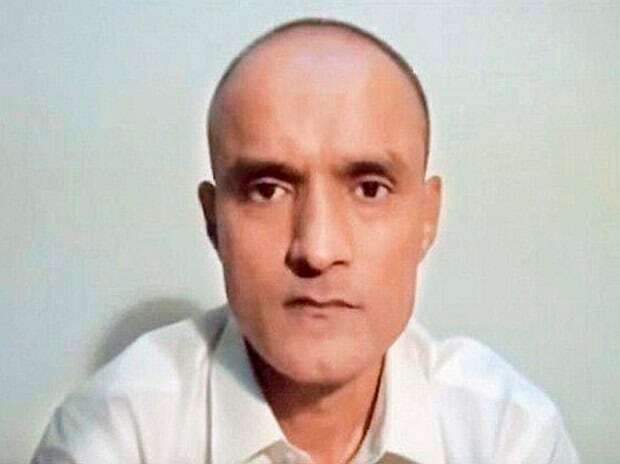 On the first day of hearing, India urged the ICJ to annul Jadhav's death sentence and order his immediate release, saying the verdict by a Pakistani military court based on a "farcical case" hopelessly fails to satisfy even the minimum standards of due process. Jadhav, a retired Indian Navy officer, was sentenced to death by a Pakistani military court on charges of "espionage and terrorism" after a closed trial in April 2017. His sentencing evoked a sharp reaction in India. India moved the ICJ in May the same year for the "egregious violation" of the provisions of the Vienna Convention by Pakistan by repeatedly denying New Delhi consular access to the 48-year-old Indian national. Under Article 31 of the Statute of the Court, a State party to a case before the International Court of Justice which does not have a judge of its nationality on the Bench may choose a person to sit as judge ad hoc in that specific case. It follows that the composition of the International Court of Justice will vary from one case to another, and that the number of judges sitting in a given case will not necessarily be 15.